After over 20 years, the Harley Davidson Café in Las Vegas is closing, and Nellis Auction is holding an online auction for 350+ pieces of historical memorabilia. Collectors who seek to own a piece of Harley Davidson and Las Vegas’ legendary history have until Friday, October 28 to place a bid on desired items. Bids will begin to close at 6:00 PM (PST). Auction items include signed fuel tanks, framed memorabilia, displayed motorcycles, metal eagle with 20-foot wingspan and more! A complete list of auction items is listed under auction #74 at NellisAuction.com or, or can been seen at a live auction preview, Friday, October 28 from 10 a.m — 4 p.m. at Harley Davidson Café on Las Vegas Boulevard ( 3725 S Las Vegas Blvd, Las Vegas, NV 89109). 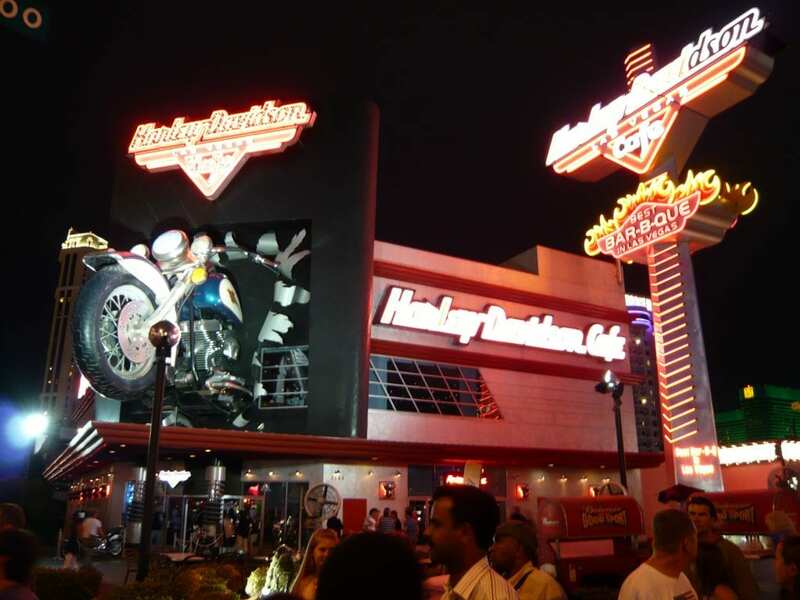 “Harley Davidson Café was a prominent Las Vegas Strip restaurant for over 20 years. Now that it’s closing, anyone interested in owning a piece of Harley Davidson and Las Vegas history can participate in the online business liquidation auction for a chance to win spectacular treasures, such as original autographed, framed and matted items by the King of Rock ‘n’ Roll, Elvis Presley,” said Nellis Auction general manager Spencer Chupinsky. Interested bidders must have a registered account with Nellis Auction for chance to participate in online auction. All items will be sold to the highest bidder with no reserves. There is a 15 percent Buyers Premium is in effect for this auction. Auction removal will be available on Saturday, October 29, between 9 a.m. and 4 p.m. All bidders must have their purchases paid for and removed from 3725 S. Las Vegas Blvd, Las Vegas, NV 89109 no later than 4:00 PM on Saturday, October 29th, 2016. Questions? Please call (702) 531-1300 and ask for more details about Nellis Auction #74, Harley Davidson Café business liquidation memorabilia auction.